The prestigious Grand Hotel Bernardin is located directly by the sea, between Portoroz and Piran. It offers an excellent wellness center–Paradise Spa with saunas and various massages and an indoor swimming pool with heated sea water. All rooms have private balconies overlooking the sea. The hotel has a luxurious private beach. 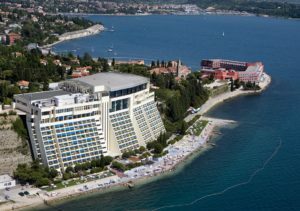 Grand Hotel Bernardin Portoroz has 241 modern rooms with balconies overlooking the sea, including 10 luxury executive suites, 9 deluxe rooms and 7 mini suites. It features a swimming pool with heated sea water, the Paradise Spa wellness center, the restaurants Pecina and Sunset, the Grand Café and the Cocktail Lounge with piano music and a covered terrace. Wi-Fi is available in all rooms for free. The guests of the hotel are also welcome to use free parking in the Hotel’s parking lot. Conference fee and Comfoert double/twin room with sea view and balcony (two days for two persons). Conference fee and comfort single room with sea view and balcony (two days for one person). Conference fee and classic double/twin room with lagooon view and balcony (two days for two persons). 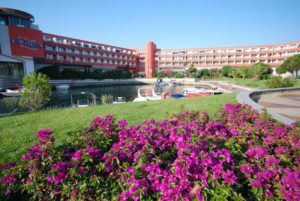 Conference fee and classic single room with lagoon view and balcony (two days for one person). 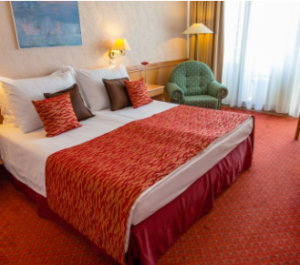 Conference fee and standard double/twin room (two days for two persons). 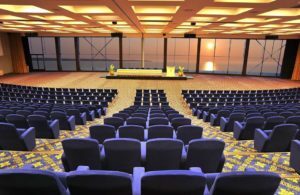 Conference fee and standard single room (two days for one person).